A DECADE of primary and secondary education at an evangelical Anglican school was enough to get me addicted to church music. Each Christmas, I try to join friends at Midnight Mass at Sydney's St Mary's Cathedral. It is an extraordinary experience, with both organs playing simultaneously as the choir roams among the congregation in procession singing carols. This year, I'm joining my partner and her family for Christmas on the Sunshine Coast. 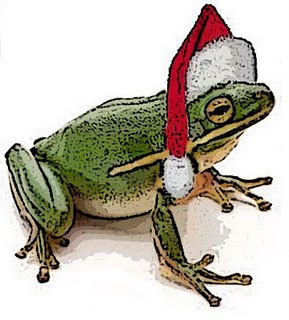 It will be my first Christmas in the land of the cane toad. It will also roughly coincide with Eid al-Adha, the most important feast of the Muslim calendar coinciding with the annual pilgrimage known as the Haj. This year hasn't exactly been a bumper year for relations between the nominally Christian and Muslim sections of the planet. Muslims accuse Christians of taking hypocritical stands in the Middle East, and Christians accuse Muslims of behaving like drama queens in response to a dozen Danish cartoons and one papal speech. Yet a recent report by a United Nations-sponsored High-Level Group of the Alliance of Civilisations has found that the apparently deplorable state of relations between Christians and Muslims has more to do with politics than theology. And even the most cursory analysis of the message of Christmas and Eid will reinforce this simple point. According to Islamic tradition, Abraham had two wives. He first married Sarah, who offered her Egyptian servant named Hajira (Hagar) to Abraham (Islamic tradition says Hagar was from royal stock and became Abraham's second wife). They had a son named Ismail (Ishmael). Eventually Sarah did have a son, despite her advanced years. The Koran describes this as a miraculous process, evidence of God's power to bend His own laws of nature to achieve His purpose. Abraham's second son was Ishaq (Isaac). Sarah isn't exactly fond of Hagar. Poor Abraham feels Sarah's wrath and takes Hagar and the baby Ishmael in a remote desert wilderness named Bakkah. Like all mothers, Hagar's primary concern is the survival of her toddler. But where will she find water in this wilderness? That search for water is what provides the Muslim pilgrimage rituals with much of their meaning. Hagar heads for a hill, finds nothing and so heads in the opposite direction to another hill. She again finds nothing. In desperation, she runs back and forth seven times before setting eyes on her young boy kicking the dirt to uncover a rich spring. Quickly she builds a makeshift well. Within a short period, the well attracts the attention of other travellers. Hagar watches her son become a grown man, and receives a visit from Abraham again. The Koran says God orders Abraham and Ishmael to build a temple a simple cubic structure known as the Kaaba. The temple was a symbol of God's throne on Earth, with humans circling it in the manner angels were believed to circle the actual throne in the heavens. The valley of Bakkah eventually became known as Mecca . The Kaaba (an Arabic word which means cube) is traditionally draped in a black embroidered cloth. The well kicked to the surface by the infant Ishmael is known as the well of Zam Zam. Muslims on the pilgrimage also run seven times between the two hills, as well as circling the Kaaba and drinking from the well of Zam Zam. Hagar and Mary were both Middle Eastern women. The Koran also mentions the Christmas story in some detail in a chapter named in honour of Mary. The chapter begins with John the Baptist (named Yahiya in classical Arabic), born to Zachariah, with both father and son revered as Prophets. MARY: I seek refuge from thee to God Most Gracious: come not near if thou dost fear God. MAN: Nay, I am only a messenger from the Lord, to announce to thee the gift of a holy son. MAN: So it will be: Thy Lord saith: 'that is easy for Me: and We wish to appoint him as a sign unto men and as a Mercy from Us'. It is a matter so decreed. The man was in fact an angel. Christ was conceived miraculously. Following birth, Mary took her son back to her family. Her father was a respected rabbi and Mary was always known for her modesty and chastity. Further Mary had made a vow not to speak to any man for a fixed period of time. I'm not sure if Joseph or the Three Wise Men appear in the Koranic account. But a number of Jesus' miracles are mentioned. These include healing lepers and restoring life to the dead. Also mentioned is Christ's ascension. The sayings of Prophet Muhammad mention Christ's return to earth to establish the kingdom of God toward the end of time. Both Mary and Hagar were women ostracised by and from family and community. Both were humiliated by social mores that were essentially inimical to the far greater purpose their creator had chosen for them to play. In the end, God provided the means for each of these women to overcome family and social stigma Hagar through her son's miraculous discovery of a well and Mary through her son's miraculous defence from the cradle. Both Christmas and Eid stories show how God doesn't judge his creatures by the standards they use to judge each other. Even if these same standards are applied in the name of divine religion. Genuinely religious people, on the other hand, recognise that their creator's mercy is for every person. God sees the hearts of all, whether they be accepted or rejected by the society of men. Muslims and Christians have a joint responsibility to ensure this message of hope and mercy is not lost. The message should remind us of our shared Abrahamic spiritual roots. Indeed, the things that unite us are far greater in number and importance than those which divide us. Irfan Yusuf is a Sydney lawyer and columnist for AltMuslim.com. This article was first published in the Canberra Times on 23 December 2006.